Above picture is of a bowl that I completed while working with Edric Florence. Its one of my favorites so far. Posted on February 23, 2005, in Woodturning. Bookmark the permalink. 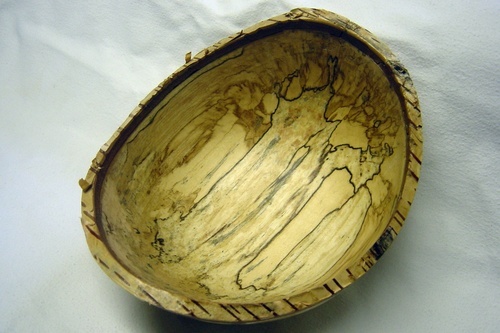 Comments Off on Spalted Birch Natural Edge Bowl.